Vol II (FMR Records) Released December 17, 2015; recorded at the Timbuktu Studio on September 2, 2014; mixed and mastered by André Fernandes; cover artwork and photography by João Pedro Lomelino. In many ways, this is a template that many bands use as a concept. The concept is not so important as the music a band makes. The first piece, “Improvisation I,” opens with nice piano work by João Paulo Esteves da Silva. The general feeling puts the music in the direction of the Miles Davis Quintet when he had Wayne Shorter, Herbie Hancock, Ron Carter and Tony Williams. That feeling is very present throughout most of this track and the rest of the album. I find that the music is free and at the same time, not really free. The anchor centers around what Esteves da Silva expresses on the piano. Nelson Cascais’ bass playing is front and center which creates the space for drummer, João Lencastre to do something similar to what Tony Williams did during his tenure with Miles. On this song, he manages to turn it into free jazz drumming. This gives the trio the energy to propel forward in a specific direction. He does not overpower the band, but provides more than enough juice to allow the improvisation to move beyond its normal limits. The music ebbs and flows, like waves on the ocean. This is something you will hear in most free jazz. The music always goes up and down. “Improvisation II,” opens with very familiar sounds on the bass that are commonly associated with free jazz. The bowing in the high register of the bass sets the mood for the improvisations. Sparse work from the drums and piano follow accordingly. Nelson wisely varies the dynamics as the music starts to take form. Esteves da Silva uses the open gap as the basis for his improvisations. Cascais’ bowing is very effective on this track. All of this is a prelude before entering track three, “Improvisation III.” The band comes together, playing full force with a sense of abandonment before coming to a close. The playing is strong, while the trio is still maintaining an almost traditional jazz approach. I personally would like to have heard longer improvisations on the short tracks on this album. All of the tracks merge seamlessly into one another. It’s almost as if this is one long composition with different sections, or chapters of a book. “Improvisation IV,” is the start of another ballad. Esteves da Silva’s piano work is very graceful, lyrical, evoking the spirit of Bill Evans. The rest of the trio wisely remains silent while Esteves da Silva’s piano solo takes flight. Bass and drums join in for the next musical direction. It almost reminds me of Roberta Flack’s style when she did her first album for Atlantic Records, First Take. This is a beautiful ballad No Project is performing. Clearly, this is a mature group that has spent lots of time playing together, both in rehearsals and live performances. Drummer, Lencastre again gets into the cymbals like Tony Williams after the 5:45 mark. The cymbals are quite prominent throughout this piece while Nelson provides steady bass support from start to finish. Although this is a ballad, it does get active and Lencastre’s drumming goes into free form mode. He adds enough spice to maintain the ballad feeling while intensifying the music simultaneously with his band mates. Esteves da Silva picks up on what the drummer is doing and he starts to generate excitement with his piano playing. He takes over and the trio lets him do his thing. His playing takes the lead until the song comes to an end. “Improvisation V,” is another ballad, however, it’s different from the one that precedes it. It sounds like a piano exercise and it creates another groove for sonic exploration. “Improvisation VI,” is very abstract, as opposed to what the trio has been playing up to this point. It starts as abstract art, but settles down once Esteves da Silva takes the lead on piano. Now, the piece is much more inside like a traditional jazz composition. The bass and drums provide solid support with lots more Williams-esque cymbals coming from Lencastre. Esteves da Silva is drawing inspiration from Herbie Hancock on this track. The remainder of the track continues in this vein. As the trio proceeds through this song, it feels like they’re taking their time playing this improvised composition. Around the six minute mark, the trio gets crazy. This is the wildest they’ve played on this CD. The music accelerates as they really get into free jazz improvisation. Around the 7:43 mark, the band starts to come down from their ascension to the stars. The drummer gives the trio space before entering again with sporadic free jazz drumming and letting his cymbals ring. This is a way of filling the space, musically speaking. “Improvisation VII,” sounds like an exploding bomb in a war zone from the piano. The trio’s approach is highly experimental. The use of loud piano chords creates an interesting sound effect. This track was very brief, leaving me wanting to hear more. “Improvisation VIII,” the final track, the trio changes gears, moving through varying tempo changes and melodic tonal soundscapes. It seems that they are going to play time but it doesn’t happen the way listeners expect. They tend to go in and out of it, off and on. It’s a blend of composition and what some call “freebop.” The freebop is more implied than actually performed. The trio has one foot in each territory. Finally after a few more minutes, the trio is doing free jazz improvisations. After the first five minutes, it’s hard to determine which way they’re going to go. The last track is a mixed bag. It has elements of traditional jazz, free jazz, and Latin rhythms in the background! From 7:45, their use of space widens like the Grand Canyon. There are longer pauses between their statements. This is the slowest they’ve played on this album. This is much more experimental, almost like playing in slow motion? 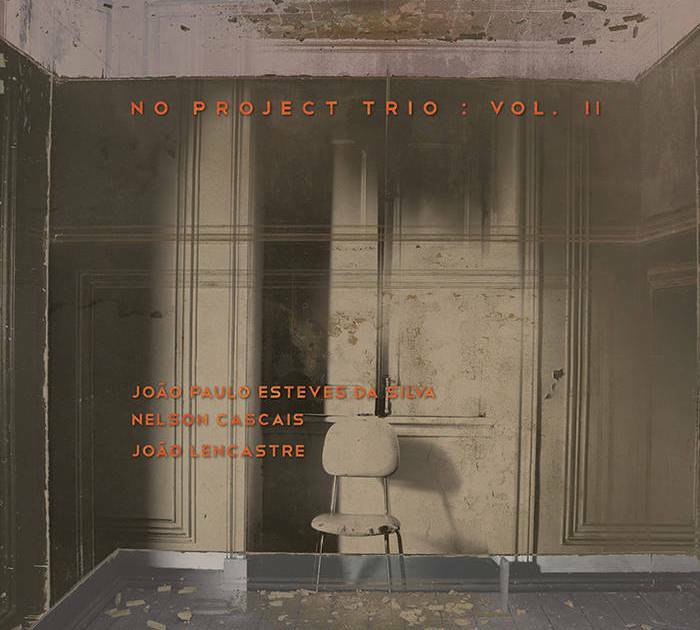 The No Project Trio is my first introduction to the musicians on the jazz scene in Portugal. I hope this group receives more attention in the immediate future. For those who like melodic free jazz, do check out this CD.